We are pulling out this marmalade cookie recipe for our weekend of British food in honor of the Royal Wedding. Since we originally posted this it has become one of our favorites- you can substitute any sort of marmalade in place of the whisky flavored…I’ve since decided I quite love it with orange. Where are you watching the Royal Wedding? Every now and then we stop into Charles H. Baldwin & Sons in West Stockbridge, MA. We’ve mentioned this before, it is a treasure of a store. While we were there we spotted these lemon chips- something we don’t often see here. We bought them not knowing what we wanted to make. I’ve been sort of glued to The Flavour Thesaurus by Niki Segnit lately. Apparently almonds and lemons are a great match. That seemed like a good place to start. 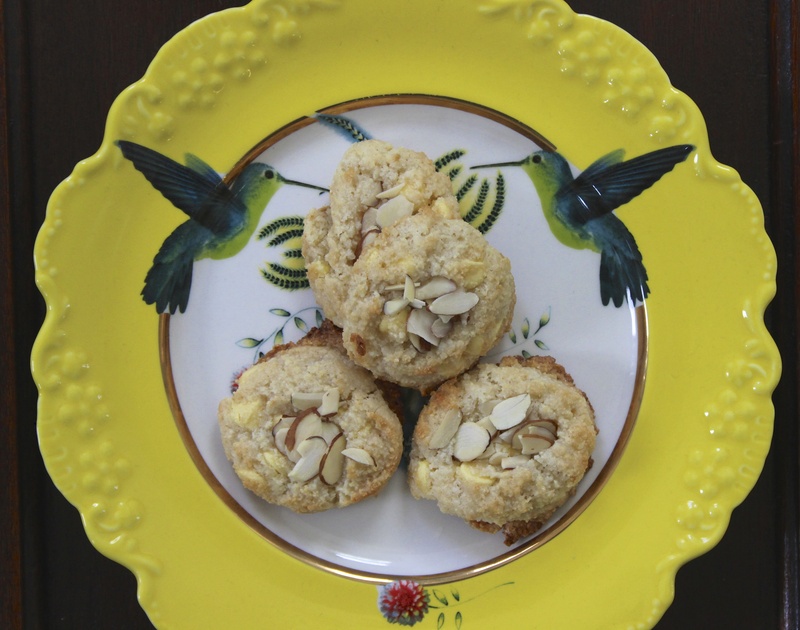 I looked at a lot of almond cookie recipes and many of them incorporated marmalade. And that got me thinking. Someone gave us this jar of Windsor Preserves Fine Cut Whisky Marmalade for Christmas. It is made in Yorkshire, England and to be honest I’ve been a little afraid to try it. I’m not a whisky drinker. It reminds me of cough medicine that my mother had to force down my throat as a child. 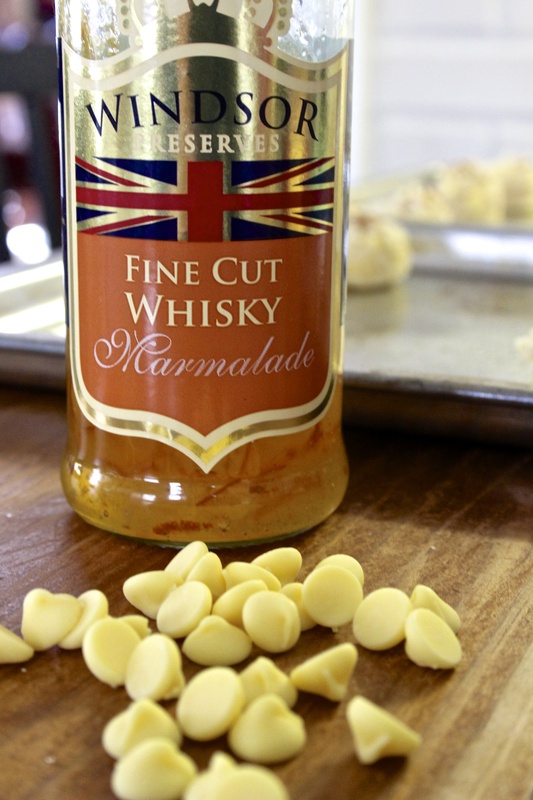 The smell of it was not appealing to me – my husband on the other hand…he is a lover of both whisky and marmalade so he was happy to be the taster before we put it in the cookies. Mix the dry ingredients, add the wet and then the chips and roll into 1″ balls. I cheated and used an ice cream scooper. 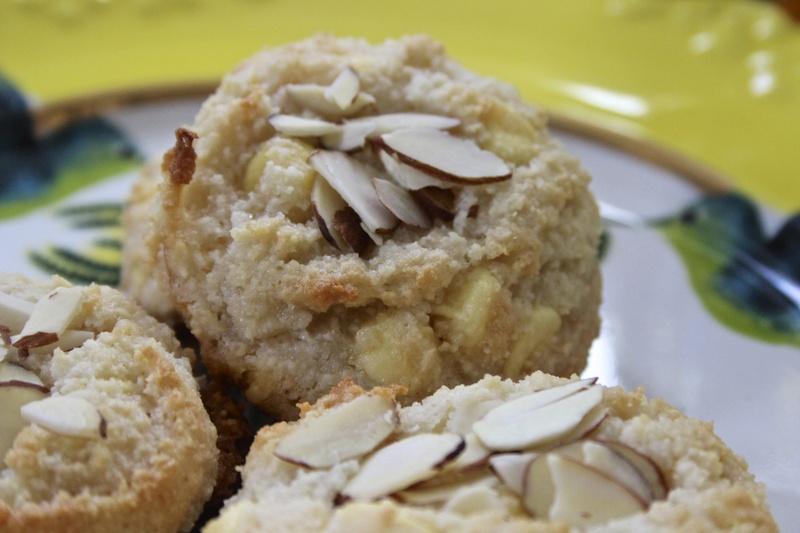 Flatten the top of each ball with your thumb and add a few slivered almonds. Bake at 325 for 20-25 minutes on sprayed parchment paper. 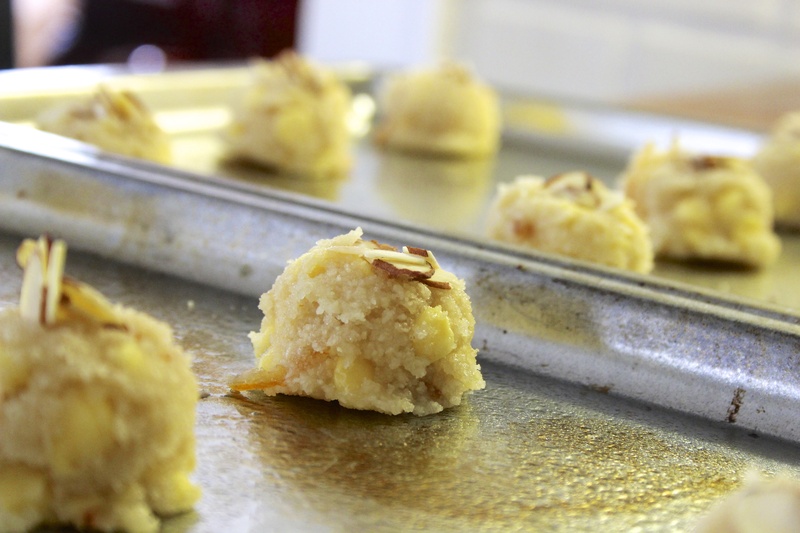 They are quite sticky so watch them in the oven to avoid burning. The strong taste of the whisky marmalade lessened upon baking and the cookies were actually totally yummy. My four year old could not get enough of the bits that I broke when trying to get my cookies off the sheet (see note to use parchment paper…).